Moist, zingy Greek yogurt lemon cake packed with yummy little poppyseeds and topped with a kicky glaze. 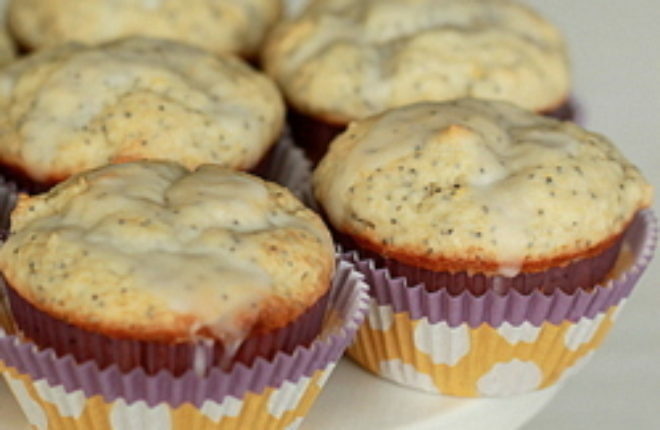 When life gives you lemons … and poppyseeds … and greek yogurt … make these muffins. Not that life is really likely to give you any of those – unless the grocery store is “life” and opening up your wallet is “giving.” Nonetheless, make these muffins. I’d talk about how delicious they are, but you already know that. Just look at ’em. Moist, zingy Greek yogurt lemon cake packed with yummy little poppyseeds and topped with a kicky glaze. 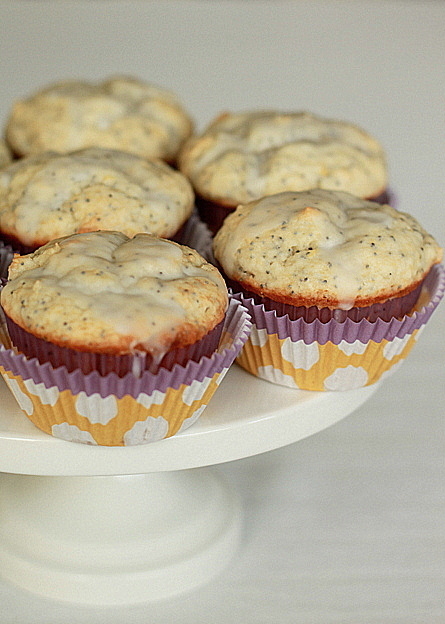 Let’s be real, they’re pretty much cupcakes for breakfast, but that’s why we love muffins, am I right? Make some for Mom for Mother’s Day. Make some for National Teacher Appreciation Week. Make some because today is National Windmill Day, if you really need a reason. Just make them. Preheat the oven to 350 degrees Fahrenheit. Place cupcake liners in a standard-sized muffin tin and set aside. 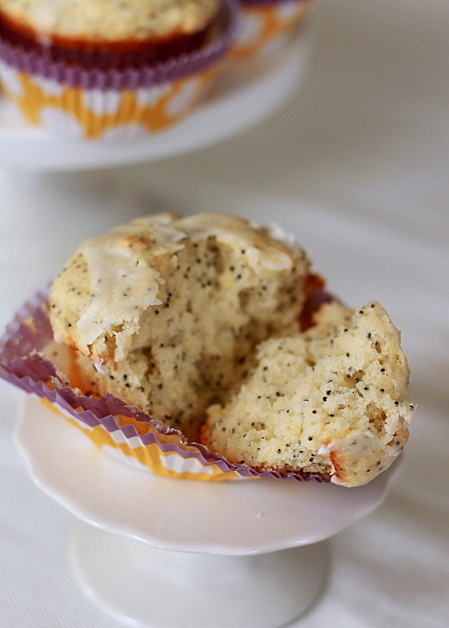 In a medium bowl, whisk together the flour, poppy seeds, baking powder, baking soda, and salt. In a large bowl or the bowl of a stand mixer, beat together the butter and sugar on medium-high for about three minutes, until pale yellow, light, and fluffy. Beat in the eggs one at a time. Add the vanilla, lemon juice, and the lemon zest. With the mixer on low speed, add the flour and the yogurt in two additions, alternating between the two, just until all ingredients are incorporated. Bake about 17 - 20 minutes until a toothpick or cake tester inserted into the center of one of the muffins comes out clean. Let cool for about five minutes, then move the muffins to wire rack. Make the glaze. 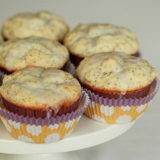 Whisk together the powdered sugar and the lemon juice and drizzle over the muffins while still warm. Let cool until the glaze is well-set. Serve.